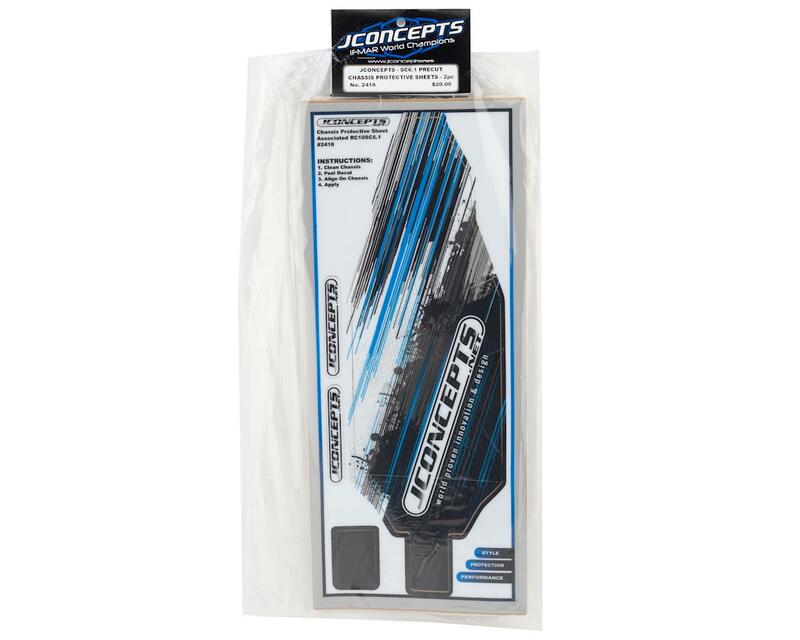 The JConcepts Team Associated SC6.1 Precut Chassis Protective Sheet creates a smooth or slick surface to decrease friction between chassis and dirt surfaces, while at the same time helping to extend the life of the chassis. 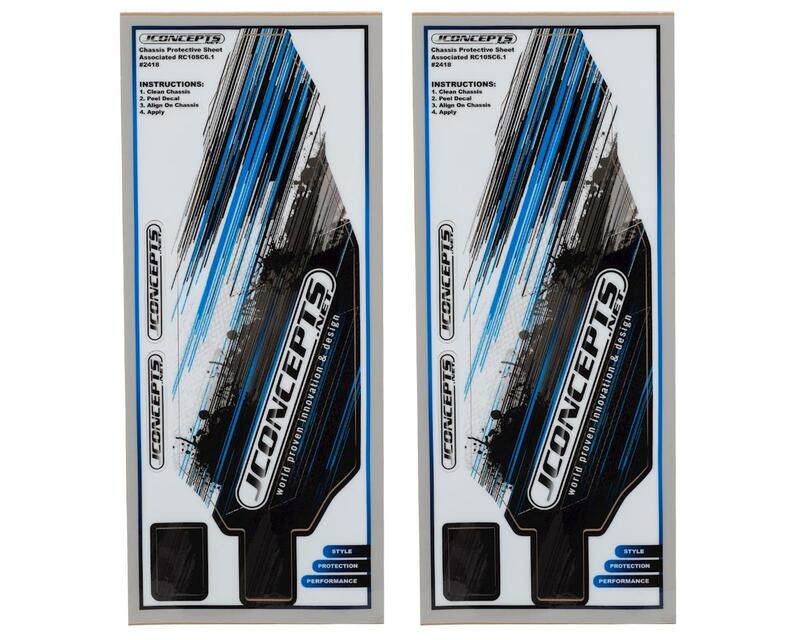 With 2 pieces included per package, the durable and resilient material fits each chassis layout like a glove and adds protection and style in one easy package. The application was slightly different on the Yokomo YZ4-SF vehicle because of the low ground clearance and suspension design of the new high-speed vehicle.